The Conversation – The “explosive” spread of the Zika virus has prompted health officials to predict up to 4m cases this year and 26 countries and territories have already been affected in the Americas. Brazil has been particularly hit by Zika – and microcephaly, the condition that causes smaller heads in newborns that is being linked to the virus. Zika is a global health problem and action to counter the threat needs to reflect this – but Brazil is key to understanding the nature of the virus and possible solutions to it. In the next few weeks the tendency will be to demand decisive leadership internationally – as well as a greater involvement of the world’s most powerful nations. But tackling Zika will ultimately come down to learning from what is happening on the ground – not around the tables of Geneva or New York. The first case of this Zika virus outbreak was reported in Brazil in May 2015. Since then, an estimated 1.5m people have been infected. Healthcare officials have also reported a 20-fold increase in incidence of microcephaly. As of January 30, 404 cases of microcephaly had been linked to an infection-related cause, with Zika virus confirmed to be present in 17 cases. A further 3,670 cases are still under investigation. Brazilian health authorities face an uphill struggle. 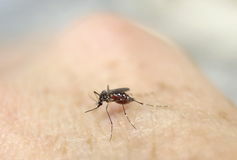 One of the difficulties is the tropical weather in which mosquitoes thrive – including the rainy season that is expected to last until April. Another difficulty is poverty and Brazil’s working but fragile health system. The Aedes aegypti mosquito does not discriminate between rich and poor, but it reproduces in societies where poverty is endemic, where there is no reliable access to water and families use tanks and makeshift receptacles, where sanitation is inadequate or non-existent, and where rainwater and sewage run or accumulate in the open air. The mosquito spreads havoc in countries where health systems are underfunded and unable to reach communities in the deprived areas of sprawling cities; where illiteracy is high and false rumours spread like wildfire; and where the efforts of health workers are stifled by corruption, bureaucracy and political point-scoring. Zika is a health problem, but it is also a political one. It’s a problem of inequality, but one that will end up affecting everyone, including the wealthy. Mosquitoes may not care about politics, but politics certainly affects mosquitoes. While Brazil showcases some of the underlying social, economic and political conditions that have allowed this outbreak to become such an urgent problem, this country is also taking steps in the right direction. These should not be dismissed as international actors step in. In places like Pernambuco and Paraíba (two states that are among the poorest and most heavily affected by Zika), professionals from Brazil’s Unified Health System (SUS) are working alongside the military and community health agents who give advice and collect data in remote areas and hard-to-reach favelas. The work of these community workers is essential: mosquito control is more than simply fumigation “from above” and in order to be sustainable it requires persistent work on the ground. In institutions such as the Fundação Oswaldo Cruz, cutting-edge, publicly-funded research into Zika and other neglected tropical diseases is underway. Civil society has mobilised in “Sábados de Faxina” (Cleaning-up Saturdays) and even “anti-Zika” carnival parades. This is happening amid calls for a greater emphasis on improving sanitation as a long-term solution for Zika and other diseases affecting Brazil. Despite the contested political terrain and the difficult circumstances, Brazil is showing how health workers, community representatives, researchers, civilian and military leaders can collaborate. Brazil certainly needs the assistance of international partners, as is demonstrated by president Dilma Rousseff’s phone call to Barack Obama on January 29, in which she sought to further Brazil-US cooperation in vaccine development. But it would be a mistake to see Brazil as a helpless victim, needing to be saved by outside intervention. There is much to learn from Brazil. First, considering the complex political, social and economic context of this country allows us to understand more clearly what the problem is. While the world is only now beginning to see Zika as an emergency, the conditions that have enabled the spread of the virus and hindered response are “everyday emergencies” for millions of Brazilians. The second is that addressing the problem of Zika requires a long-term effort that goes beyond crisis management – and that should not stop at mosquito control and vaccine development. These responses will certainly be important, but a sustainable solution also requires addressing the social and economic determinants of health, improving sanitation and housing infrastructure, and involving civil society in the definition and implementation of policies. Brazil has taken some important steps in this direction, and international actors should support this agenda rather than imposing their own.